Anita White is Madeline and James’ mum, and the owner and Managing Director of Sandy Feet Australia. She is passionate about creating a safe, loving, nurturing environment that helps her children grow and develop into kind, thoughtful and generous adults who make a real contribution to the world around them. Anita believes in ‘letting kids be kids’ and the importance of allowing time for play as a critical part of their development. She is also passionate about ‘living well’ and where possible helping others to ‘live well’, empowering people to make positive choices about their health. 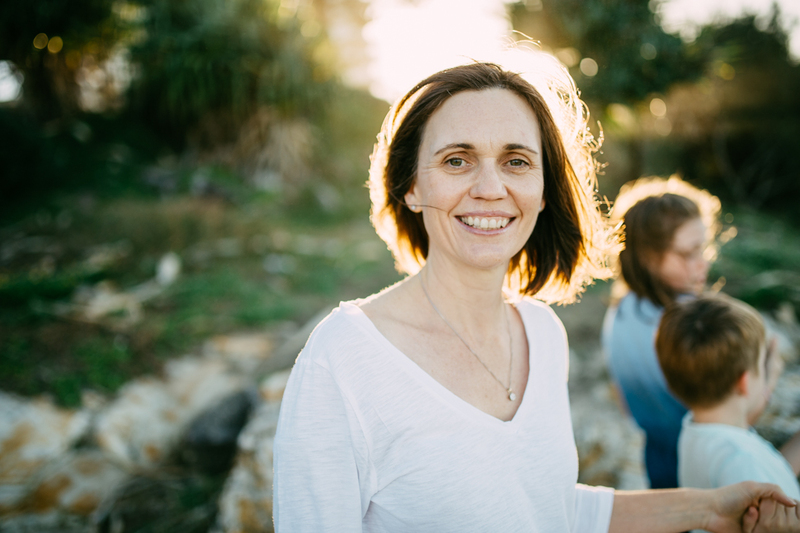 Anita’s experience as an oncology nurse, working for The Cancer Council Australia in the area of Prevention and Early Detection, along with her own personal cancer experience, has provided her with a unique perspective and a strong belief in prevention being better than cure. Having personally experienced the ‘cure’, she would choose prevention every time. The choices we make today have a large impact on the health we enjoy in the future. Research has shown that many of our chronic diseases are linked to lifestyle factors and can be prevented. It’s estimated that 1 in 3 cancers are preventable, for skin cancer and melanoma it’s as high as 90%. This is not about judging the choices people are making, for Anita, it’s about removing roadblocks and making it easier for people to make positive lifestyle choices. It definitely feels like I’m still ‘getting started’! Starting my own business was the hardest and scariest decision I’ve made in my professional life to date. I had achieved so much in my career in the corporate world, it felt like it was time to remove the safety net to see if I can use what I’d learnt to build a successful business of my own. My major motivation was knowing that if I was going to take time away from my family it had to be for something that I was truly passionate about, that I believed in and would allow me the flexibility to still be there for my children, the answer for me in the end was Sandy Feet Australia. My family and I are lucky enough to live on the Sunshine Coast, in Australia. We live in a relatively small coastal town, with inspiring coastlines, abundant natural beauty and amazing sense of community. Our children have the enviable luxury of spending their childhood outdoors at the beach or pool, exploring our incredible bushland and its inhabitants in a year-round temperate climate. One of my main concerns was balancing our outdoor lifestyle with protecting our children from the damaging effects of ultraviolet radiation. Having been involved in running the SunSmart program for the Cancer Council, finding good quality rashies that offered lasting UPF50+ protection was a must. When my kids were young I discovered Sandy Feet Australia, my children and I loved the brand — the kids loved the vivid colourful designs and the fact they were so comfortable to wear and I loved the confidence of knowing they were protected from the sun. We loved them so much in fact that we bought the business. Sandy Feet Australia allowed us to share our passion for our lifestyle and surroundings, and me the opportunity to build something that I truly believed in and was passionate about. I think the truly unique aspect of our business is the people — I think it’s always the people. I am extremely fortunate to work with a range of people who are genuinely passionate about our brand, and emotionally invested in it. They are each and every one of them amazing people who have so much experience and knowledge to share. I truly believe that their positivity can be felt in our brand. The other major strategy we’ve employed is not unique but perhaps not always well executed. Maintaining a true customer focus. This runs through every decision we’ve made with the brand from how the website looks and functions, the quality standards of our product through to our after-sales customer service. I genuinely want my customers to know that I appreciate them choosing our products. We are constantly asking the question — If I were the customer? In my 15 years in the corporate world, I had gained a wealth of experience across marketing, health promotion, organisational development and executive coaching, however I came to this business with little direct experience in the fashion industry. I think this has allowed me to view things with fresh eyes, ask questions and challenge the status quo. Humility. Having this mindset creates an opportunity to truly utilize the expertise of those around you for the best outcome. I want people to feel valued as an integral part of what we’re creating, to feel that their contributions are valued and appreciated. I think my years as a nurse, particularly when working in oncology, have helped perhaps not create but strengthen this mindset. Being given the honour of sharing a person’s life at a time of time of such vulnerability is a truly humbling experience. Creating a brand that people love, that is having a positive impact on our community, that would certainly feel like success to me for Sandy Feet Australia. For me personally success is all about ‘living well’, feeling like I have the power and capabilities to make the choices in my life, that I know are best for myself and my family, raising children that are curious and considerate with a community conscience. Failure is inevitable — without it there is no learning, no growth, no creativity, no innovation. Perhaps denying this is the true failure. On a more practical note, there is a saying ‘Failing to Plan, is Planning to Fail’, and I have certainly found this to be true. Failing to put in the time in the planning phase, will most certainly reduce your chances of success. Be Humble, Be Curious, Be Kind, Be Generous, Work Hard. Take a genuine interest in the people around you and their wellbeing. If you enjoyed this story, hit the heart button to drive in more people to read about Anita’s amazing story. Don’t forget to follow me to read more amazing stories from amazing people.